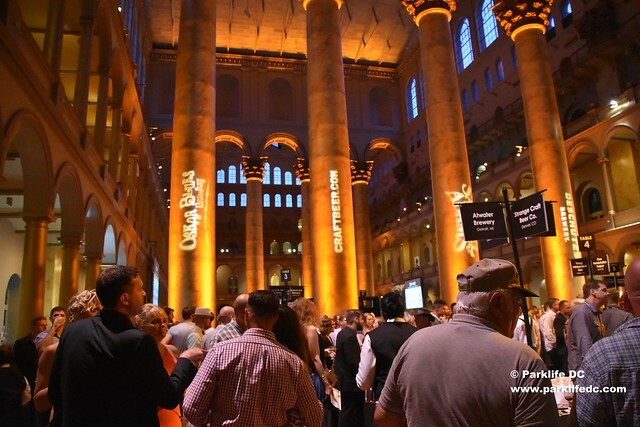 SAVOR: An American Craft Beer & Food Experience (the nation’s most sophisticated beer festival) returns to the National Building Museum (401 F St. NW, DC) for its 10th edition for two nights on Friday, June 2, and Saturday, June 3. But next week, the Brewers Association will hold a diamond ticket giveaway by hiding five pairs of SAVOR tickets in three locations around DC. This giveaway event runs May 15-19. You win by finding tickets. Five winners, and friends, will attend the country’s finest craft beer and food pairing event, courtesy of the Brewers Association. At SAVOR, you enjoy 86 small and independent craft breweries coupled with small plates and specialty food stations. DC natives head here, in the Shaw neighborhood, to dine on their craft favorites and Italian-influenced cuisine. One winner also will receive a free night’s stay at the Renaissance Washington DC Downtown Hotel (999 Ninth St. NW, DC). That prize will be included with one of the five ticket pairs hidden at the three DC locations. All winners are strongly encouraged to share their findings on social media with #DiamondTicket and #SAVORCraftBeer. For more information on the event, including the full menu and brewery list, visit the SAVOR website at https://www.savorcraftbeer.com. If you don’t win tickets, buy them online!